What is the Birmingham Choose Healthy Challenge? The Choose Healthy Challenge is a 50-day competition offered as a resource to engage Birmingham employees and their households to make healthy choices. Challenge participants submit their healthy choices using the Planet Fundraiser mobile application and earn entries for chances to win weekly prizes. Healthy choices will also score a point for their team or business. The Choose Healthy Challenge is an innovative and fun way to reward healthy living while promoting health and wellness in Birmingham. Show us how you are living healthy! After downloading the Choose Healthy Challenge mobile application, open the app. Enter your name, email, and phone number then select Create Account. Following account creation, a screen will prompt you to Create password and Confirm password. A new screen with the fields Campaign and Group will appear. Select the Birmingham Choose Healthy Challenge as your campaign and the organization relevant to you. 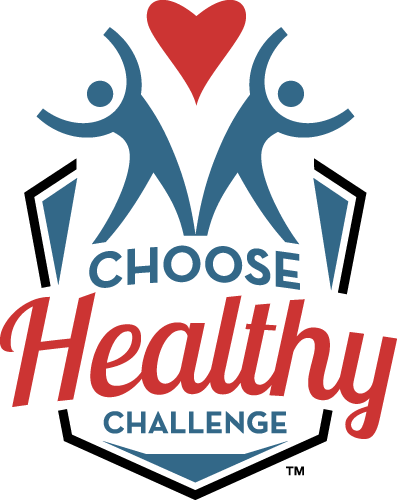 Who can participate in the Choose Healthy Challenge? The “Choose Healthy Giveaway” (“Giveaway”) is open only to persons who, as of date of entry, are legal residents of one of the United States or the District of Columbia, and at least 18 years of age or older at the time of entry. Do I have to be in my Healthy Selfie? How to compete in the Healthy Challenge? After downloading the Choose Healthy Challenge mobile application, click the large red “+” button. Select the activity type or healthy purchase you want to submit a picture of. Snap a picture of the activity or healthy receipt. If you would like the photo to be shared in the Healthy Selfie feed, please select Allow Sharing. You can log in to your account at www.ChooseHealthyChallenge.com and view the leaderboard to see how your team stands. How long does it take for submissions to be processed? Submissions are typically processed within 20 minutes. This depends on the submission volume. Please be patient during peak hours such as lunchtime. Should I log all of my healthy actions? Each day you are able to log one healthy action in each of the following categories: Physical Health, Nutritional Health, Emotional Health, and Weekly Health. For each point you earn, it earns you a chance for the weekly prize drawing. Each week you start back over with zero entries for that current week. Does the time I spend on the challenge count as work? Participation in the Choose Healthy Challenge is entirely voluntary and to be done on one’s personal time. If you are selected as a winner you will be emailed. If we do not receive a response within 24 hours we will email plus call you the next day. How will I receive a prize if I win? You can choose to pick up the prize or we can mail the prize to a location address you provide after you win. Does the mobile app cost anything to download? The Planet Fundraiser mobile app is available for free in the Apple App Store or the Google Play Store. No, photos are kept completely private. The challenge technology keeps all images secure. Participants have the choice to share each photo they submit. After submission, the image is reviewed by our proprietary image recognition systems. Once approved your points will reflect on your dashboard. If you choose to give permission to share, it will be reviewed by a Challenge team member then determine to share or not. Sign-up is open throughout the challenge dates. What are examples of a healthy physical action? What are examples of a healthy nutritional action? Can I use both the app and website? What are examples of a healthy emotional action? Where can I find the Challenge? The Birmingham Choose Healthy Challenge is taking place on the Choose Healthy Challenge mobile app and website. The mobile app can be found in the Apple App Store and the Google Play Store by searching ‘Choose Healthy Challenge’. The Challenge can also be found online at choosehealthychallenge.com. How can I encourage others to participate?